Old Chang Kee's FY18 revenue grew 9.1% y-o-y, driven by product innovations and in line with our expectation. FY18 Earnings beat our FY18e estimate by 13% on higher operating leverage and lower than expected start-up costs from its UK JV. Growth momentum to extend into FY19e, while gains from the expanded factory capacity and new factory equipment should start to roll in more significantly. Final dividend of 1.50 cents, unchanged from last year. Maintained BUY with unchanged DCF-derived Target Price of S$0.98. FY18 Revenue growth is the strongest in the past 5 years, mainly from underlying sales growth. Sales from retail outlets were up 9.2% y-o-y, driven by the +8.0% y-o-y average sales per store; and to a lesser extent, by the net one additional store count during FY18. In addition, puff sales were up 3.3% y-o-y, and remained as the major revenue contributor (c.30% of the FY18 Revenue). We believe these figures are a testament to the Group’s successful product innovation. 4Q18 Gross margin returned to c.63%; which should be sustainable. Gross margin has been depressed for the past 3 quarters. Average selling prices have been revised to pass on the higher raw material costs to consumers in Apr-18. It also benefit from a more favourable input prices arising from bulk purchasing, on the back of expanded factory space. UK joint venture incurred S$0.08mn of start-up costs prior to opening. The Group is on-track to open its first flagship outlet in Covent Garden - London, United Kingdom in Jun-18. Positive outlook as growth momentum extend into FY19e. cost savings from bulk purchasing. We have increased our FY19e sales growth expectation to 6.0% y-o-y from 4.1%. We also introduce FY20 estimates in this report. Core net profit is estimated grow by 21.6%/22.8% in FY19/20e as the Group continues to ramp up its product innovation effort while deriving better operating efficiencies from its new factory facilities and equipment. 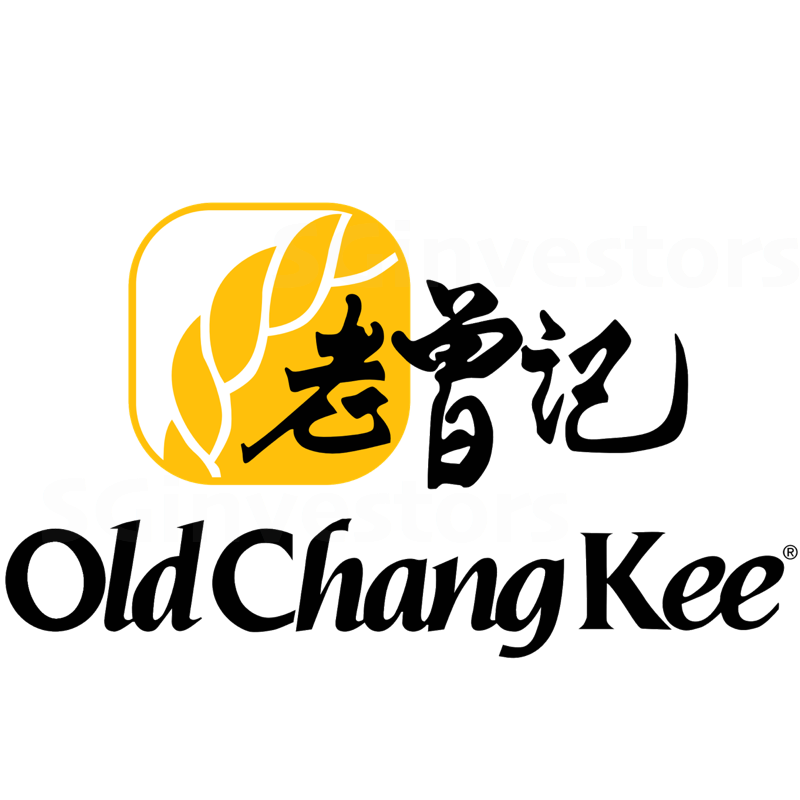 Old Chang Kee (OCK) is currently trading at 19% discount to its peers average of 28.1x. Our Target Price implies a FY19/FY20e PER of 22.6x and 18.5x, respectively. Continue to pay out more than 90% of its earnings in FY19e, supported by an increasing free cash flows. We expect FY19e dividend to increase by 1.0 cents to 4.0 cents as free cash flows improve from S$1.6mn in FY18 to S$5.2mn. Enjoy a high ROE of 18.0% in FY19e.